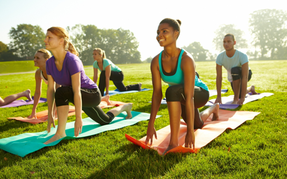 Join us on the mat for this al-fresco hatha yoga session by the pool! Jesus Green Lido is now OPEN until 23rd September 2018. Jesus Green Lido is now OPEN until 23rd September 2018. We look forward to seeing you!